We have the first egg laid at the Arboretum nest! Around 9 a.m. And she started incubating immediately! Watch for subsequent eggs, usually laid 2-3 days apart. Ospreys typically lay 2-3 eggs, and occasionally four! The bad news came yesterday that my scope cannot be repaired because they no longer have the parts. After 7 years they discontinue parts. They asked me to send the scope body in and they will give me a coupon towards another Nikon scope of similar value.....but there is no similar scope. Mine had an eyepiece that zoomed to 75....which made all the difference in the world for band reading. A replacement will only zoom to 60, as most 80mm scopes do. I am devastated. With so many bands to read, that extra reach made many bands readable that would not be otherwise. Does anyone have a Nikon ED 82mm fieldscope with the 25-75 zoom eyepiece they would be willing to sell??????? Anyone know of someone who has the eyepiece for that scope they might sell? Please share this post around to see if we can scare up a replacement so I can get back to work. Otherwise, this may be the proverbial straw that broke the camels back. No sleep last night. Just some short updates....first of all we have our first eggs laid, so chicks are officially on the way! We also have the first woodticks, dang it. I am still trying to get around to first visits at some nests and still working hard on band reading, but still don't have my scope back yet. sigh. I am glad to see the the male at the Arb has been staying home and working hard on the nest....it's looking so cushy now. We are seeing extra Ospreys at so many nests these days, the population is growing and competition for good nest sites is increasing. I witnessed a pretty aggressive fight between two males trying to establish their place on a nest on a transmission tower...and they footed each other, locked together tumbling thru the tower. I gasped and said "oh god" out loud....thinking a rescue might be needed but they broke apart and both flew off alright. Hope they were really both OK. But the more typical interloper just flies around, buzzing the nest without contact or serious aggression. I guess we need more nestpoles....so if any Boy Scouts want to get their Eagle Scout badge by putting up an osprey nesting platform, have them contact me! Also a thanks to the person who sent the kind card and generous donation today....she indicated that no acknowledgement was necessary, but I must....because I am so grateful to those who show their support for what I am trying to do. I cannot tell you how much it means to me. a million thanks to my osprey loving friend and supporter! Today's update on the osprey drama is that an unbanded male is at Z3s "other" nest. We hope this settles things and Z3 can now focus his attention on his mate at the Arboretum. I also stopped at another nest on my way home from work today and watched a long sky dance....a courtship ritual. The male was so high up in the sky that I could not locate him at first, but I know the vocalization that goes with a sky dance. I finally spotted him doing the dipsy doodle dance with a bright goldfish. This courtship dance went on for a long time as the female was food begging....get that fish to her! Seal the deal! When he finally did that, they struggled over the fish....he was not too keen on letting it go. But he did and she left with the fish. This is not the same male who was her mate last year but that banded male has not shown up, so I hope they work it out. I have been witnessing a lot of sky dances this week...always so fun to observe. I wonder how many people don't notice this interesting behavior, because it usually occurs so high up in the sky. If you are not listening for the sometimes subtle vocalization that goes with the behavior, you might miss it. Happy Easter....new life is beginning. Well, kids, our male at the Arboretum is going between two nests. I am still hoping another male will show up at the other nest and chase him away. This is not likely to have a happy outcome for all involved. While it's true that another male here pulled this off successfully, his nests were in very close proximity so he could defend both nesting territories and just alternate fish deliveries! The two nests that Z3 is being seen on are fairly far apart and we are seeing Z3 absent from one nest or another for long periods. While it's easy to anthropomorphise about all this, it is instinct to try to spread the DNA when possible. Seeing an unmated female on a large undefended nest, near good fishable waters, has triggered Z3s urge to procreate. These are situations which occur most often when populations are small, with not many males to choose from or as populations grow and multiple opportunities present themselves. They commonly result in a failed nest for at least one of the females. Time will tell how this story ends. Remember that Ospreys are motivated by two strong urges....to survive and to breed. Z3 is just responding to those urges and an irresistible opportunity. Another long day in the field trying to read bands and putting puzzle pieces together. The female that Z3 courted for a few days and then apparently abandoned, was alone this morning. But the exciting part of the day for me was reading the band on a very old friend. As my regular readers know, two years ago our oldest male at 23 years of age, returned from migration in very bad shape and was ultimately euthanized. Another one of our old friends did not return last year in what would have been his 23rd year. We have had a number of Ospreys live to be 21 or 22. Today I watched, with some astonishment and joy, a 23 year old male, working on his nest, bringing sticks, digging a nest cup for the eggs, fishing for his new mate, and chasing away eagles. I had to read his band to be sure it was him, tho I know his markings after all these years. I watched him for several hours....largely due to my need to read his band for sure. My mind was flooded with memories. In my early days on this project, another person working on the project said, " you will never get that males band read. He is too skittish". Well, that was like throwing down the gauntlet to me. I spent so much time sneaking up on him slowly, with my old entry level scope. I remember crawling on the ground, so I would not threaten him. It turned out to not be that difficult to read his band, and he has cooperated with me every year since. It has been easier with the hi powered scope, but today I had to hike in a little closer, like the old days. I enjoyed being out there and remembering all the years I have been watching this fellow. He is setting a new record, as he seems to be in great shape. No worse for wear. I did not see his banded female of the past few years, and he was feeding a new female. Last year his nest failed for reasons I could not fully understand, and I attributed some of it to his age. I did not expect to see him again. But I am thrilled to see him, watch him going thru all the normal rituals. I hope, I hope, I hope he is successful this year. He is such a cute osprey. I will have to go thru the records and see what I can figure out about when he first was identified at this nest, tho I believe he was there before I confirmed his band number. Old friends....nothing like it! Well, well, well....for those watching the Arboretum cam...as often seems to happen on this nest in recent years, a drama is unfolding. The male from last year, Z3, was seen on the nest when he first returned from migration. He did some work on the nest, bringing some unusual nesting materials. In recent days he has disappeared. I went searching for him today and drove over 100 miles checking nests in the vicinity, moving further and further away from the Arboretum cam nest. At the end of the day, he was found on another nest, bringing fish to another female. During my visits to the Arboretum nest, I found what may be his unbanded mate from last year, sitting on TOP of the cam itself. I must admit I am hard pressed to explain Z3's behavior. In my 23 years of studying these birds, "divorces" ( a pair of Ospreys splitting up to nest with other mates on other nests) usually occurred after a failed breeding season. But Z3 and his mate were successful in fledging one chick last year. Perhaps he was uncomfortable with the level of human activity near the Arb nest. The new nest he seems to have adopted is on a cell tower, far removed from the activity below. I did see evidence that he may have been at the Arb nest today also. For regular readers, you are familiar with our polygynous male who attended two nests and produced six chicks last year in another part of town. Is this what Z3 is up to? These two nests are not very close to each other. Time will tell how this drama unfolds. If the territorial male at the other nest returns, he is likely to displace Z3. Meanwhile if the female remains near the nest at the Arb, she may nab a new male. Time will tell how the story will end. I am surprised, although I will be the first to admit that I am still learning about osprey behavior after all these years. This is why I continue this work. This is why I think the research is still important and close observation has many more insights to offer. This also goes to show that what we can see while viewing these bird cams, is only a part of the story, and many interesting behaviors occur away from the view of the cam. Putting the pieces of the puzzle together is challenging sometimes, but it is what keeps me watching these birds! UPDATE: the male, Z3 returned to the Arboretum nest this evening! I wonder what will happen next! I need to establish the guidelines for posts on this page and explain my reasoning behind it. We do not post specific nest sites here to protect the birds. Any such posts will be deleted or hidden. I am doing my best here to study and protect these raptors which were eliminated from this area in the middle part of the last century. A reintroduction effort shared between several organizations worked very hard for many years to reestablish them here in the metro area. In my 23 years of research I have seen remarkable success from our restoration efforts, but have also seen some very bad behavior by humans near nest sites. Our oldest male had to be euthanized after being found to have BB pellets in him. 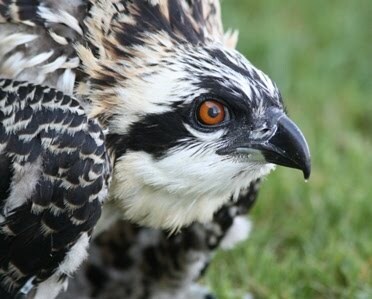 A young osprey was found on the ground and taken to the Raptor center a few years ago. When they determined that the chick was ready to go back to her nest, I released her. She did not fly to the nest but took off in a different direction on a very hot day. She was not found for 24 hours, when she finally made it back to the nest. She was clearly distressed, dehydrated and had not eaten in all that time. A photographer was near the nest that day and I explained the situation and asked him to please stay back for 24 hours and allow that chick to be fed and to readjust after being in rehab. Within an hour that photographer was set up right under the nest and the adults were giving alarm calls. I have rescued a chick that prefledged after someone flew a drone over a nest to get photos. Last year a volunteer observed a well known birder setting his camera up near a nest and then he walked around making noise and trying to get the Ospreys to fly off the nest so he could get photos. The chicks were close to fledging time when this occurred, a rather tenuous time for the youngsters. These are just a few examples. I know that decent, ethical birders and photographers exist, and in fact that includes most of the birding public....but when something is posted online, anyone can read it, including those that are not ethical. So I am choosing to err on the side of being too protective rather than being the one who leads someone who is not ethical to a nesting site. I hope you all understand. I posted a similar message last year and received overwhelming support for my decision. Please email me privately with reports of new nests. Thanks everyone. I was out there checking nests again today. I visited 19 nests and 6 had one osprey on them and one had a pair. I always say, " read bands early and read them often"....and today I found several banded birds and one unbanded bird on a nest that they didn't belong on! These early days are so fascinating to me....this is what lead me to documenting all the extra pair copulation and nest swapping that I have (which resulted in a published paper). It requires me to be out there, reading bands quickly, to document these interesting behaviors. The Ospreys are moving around, looking for territories. Young birds are hoping to usurp another Ospreys spot on a nest. I found a new banded female I had never seen before, and an unbanded male on a nest that should have a banded male, a banded male on a nest that is not where he belonged! I also am always so happy to see a long time pair, together again, back on their nest. It still amazes me that they can make that long trip to south or Central America, and return to their longtime mate and established territory, year after year. Really, stop and ponder that journey for a moment. Still a lot of empty nests, but more and more nests are occupied everyday....and I am keeping very busy visiting nests to document the behaviors that I find so interesting, and meeting with new volunteers. Driving down the road and an osprey flies over above me....wait, who is that? Where is that one going? Turn around, look around. Ha ha. It's a beautiful time of year....before the bugs and the heat. Just the pleasure of watching these birds I love so much! NEWS FLASH.....the Arboretum Osprey Cam is active now and I just heard from them, asking me to share my expertise to help educate, explain and offer insights into osprey behavior as the breeding season unfolds once again this year. I always love to share my passion for these birds and help people understand them better. More and more Ospreys are beginning to arrive back on their nests here in the metro area now. Every day I receive new reports or I swing past a newly occupied nest. Our polygamous male has returned with one of his mates. So far I have seen no attempt to rebuild what was his primary nest last year, which collapsed in August last year after the chicks fledged. He has been hanging out on the secondary nest with one of his mates. I didn't have my drawings with me, but I suspect this is the primary mate (unbanded). I am busy training new volunteers, visiting nests together when possible, so I can answer questions. I am thrilled with the experienced volunteers, who become as valuable as gold to me this time of year! One sent a photo today of the band on the male on the first day he was back! Thanks Dani! Band reading early can be so important to this research, allowing us to document the nest swapping, mate swapping, extra pair copulation that we now know happens in these early days. To me, it's the busiest, and the most exciting time of year for behavioral observations. A little odd at this time of day....but no worries, it is only the Great Horned Owl which is a threat to our Ospreys.